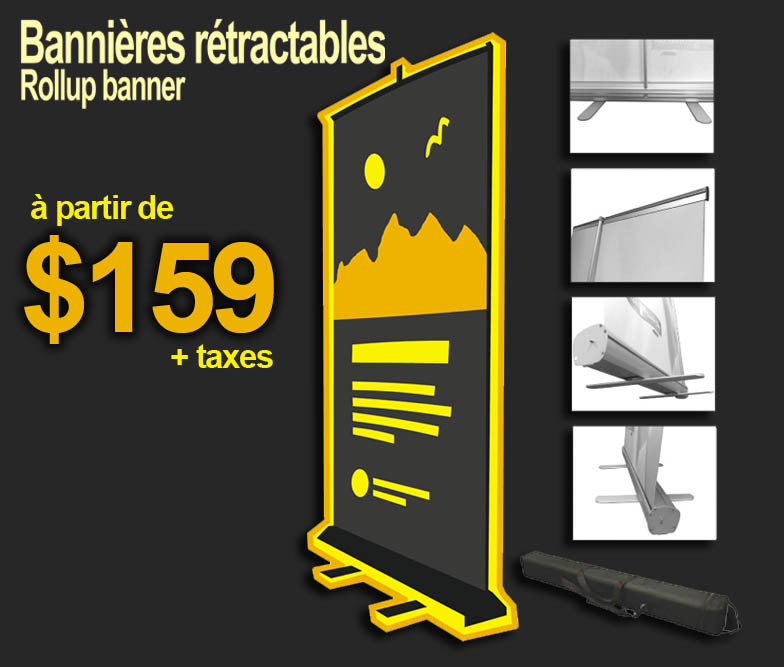 Become more visible thanks to our roll-up banner. It is an effective way to communicate your message during events, ephemeral presentations and in exhibitions room. Standard Size: 33" X 80"
Default Finishing: Cut to size. Installed in banner stand.